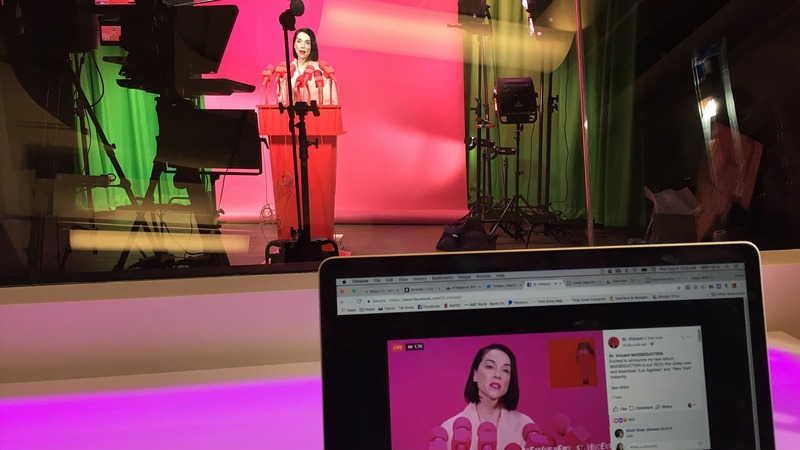 The first event from the Live X studio was a stream on Facebook Live for St. Vincent. 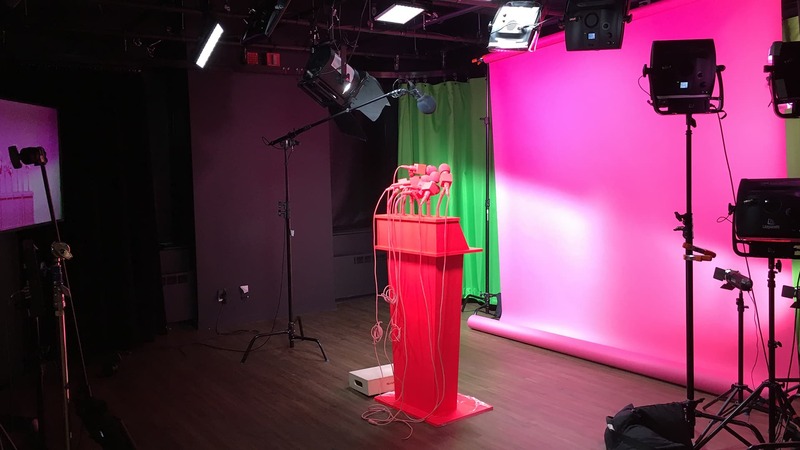 We transformed our studio into a pink press conference with the use of a seamless and carefully placed light. Her team brought in the podium and mics for set dressing to mimic a previous video about this album. We overlayed a scrolling feed on the bottom of the video to showcase the album title and mark the stream as breaking news.